Bretto is a Registered Nurse in the Emergency Department. Originally from Michigan, who then relocated to Florida to attend University to become a Nurse. Looking for her next adventure, she traveled to San Francisco as a Travel Nurse for a 3 month assignment. Immediately falling in love with the city, she then became a permanent resident 6 months later. 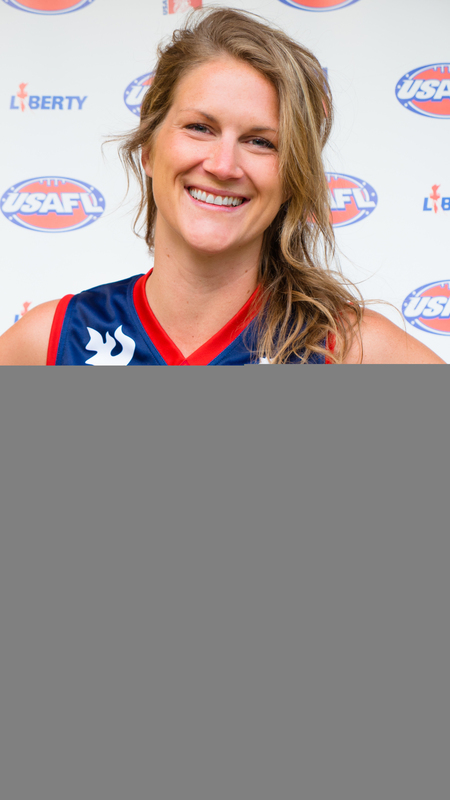 She fell in love with San Francisco and couldn't leave largely in part because she found the SF Iron Maidens Australian Rules Football Team. She found the team through her Australian friend Sarah while looking for a soccer league to join, she immediately fell in love with footy and hasn't touched a soccer ball in 5 years now. With a sports background in soccer, basketball, volleyball, and ultimate frisbee she found it an easy transition to footy and now it is her main sport, hobby, and passion. She can also be found playing disc golf, trail running on Mt Tam, or bicycling across the Golden Gate Bridge and up in the Marin Headlands on her days off... or eating ice cream, drinking wine, and reading science fiction books in bed.